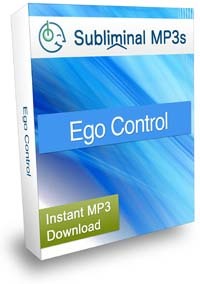 Put your ego under control and develop a natural level of confidence using this unique subliminal mp3 album! Do you always have to be right? Do you always have to have more? Are you constantly craving attention, and trying to live up to your ego? Do you want to be able to control your ego and to experience a balanced, meaningful, and significant life? A little ego is healthy - we don't want to be pushed around or told bad things about ourselves, and it's perfectly normal. However it can get out of control. When the ego becomes the leading source of our decision making and perception it can lead to being out of harmony and full of distress. People who are too egotistic can actually be seen as insecure - always having to brag and tell people of their accomplishments and achievements. This is often seen as a cover up for deeper insecurities, and people can see right through it, because ego comes from a place within that is totally absorbed with our safety, reputation and survival. Others can see right through it as they too have an ego and they know how it manifests. Truly confident people are in control of their egos. They have a natural level of confidence, and a healthy level of self esteem. They know they are successful and confidence and this shines though - they don't need to tell the world how great they are, or to fight for their place. This album will help you to control your ego, and instead develop this natural level of confidence of self esteem. 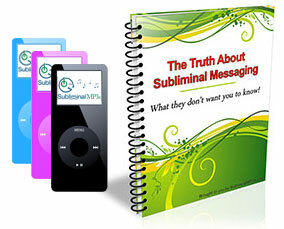 It contains mixed subliminal messages about ego control, and also messages from 2 of our most popular albums; high self esteem and boost self confidence. Discover that you no longer have the need to be right all the time. As you gain control over your ego, you will start allowing others to be right. This will enormously reduce the amount of stress you endure daily, because you will finally allow yourself not to be the best, the first, the perfect one. This feeling will not diminish your desire to improve yourself - it will just take away the competitive part and allow you to work on becoming better for the sake of your true interests, not those falsely dictated by your ego. Experience what it feels like to feel safe around other people. The ego always communicates the need for control and safety; as you learn to let go of it, you will lose the feeling of insecurity, that others are always attacking you or pushing you around. You won't be in constant need to defend yourself anymore, and you'll finally experience what it feels like to just relax and have fun in a company. See and feel the difference in how others perceive you and react to you. Your new found confidence and relaxed way of communicating with people around you will change their attitude towards you as well - instead of being perceived as someone who is constantly defensive, aggressive or simply annoying, you will show natural confidence that will attract people to you. Just as a truly rich man does not need to tell you he is rich, those with natural self esteem and confidence do not need to boast. Download this album and put your ego under control - let your natural self confidence shine though!